The team behind Port Melbourne’s newest delight, Tenpin, is pleased to announce the opening of the upper level is just around the corner. 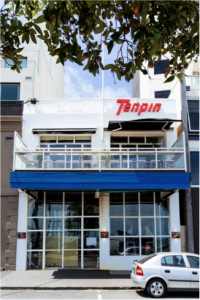 After initial delays, Tenpin diners can now feast on contemporary South East Asian fare with Asian inspired cocktails, all with picturesque Port Melbourne views. Tenpin owners Lyndal Barnes, Nick Savage, Matt Thurley and Head Chef Ashley Richey are overjoyed the space is complete for diners to enjoy. The new upstairs level seats 40 people inside and on the balcony. The imposing 12-foot giant tenpin, the venue’s inspiration, now has a permanent home upstairs, a fun Instagram pic with beach side views in the background. 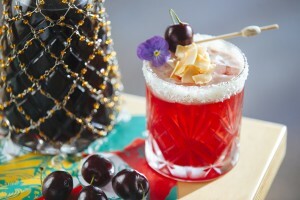 While diners have been flocking to Tenpin for Richey’s food, Tenpin also has an exquisite cocktail menu designed by head bartender, Victor Aeberli. Aeberli came to Tenpin from Melbourne cocktail institution Eau-de-Vie, and focused on Asian ingredients such as lychee, to complement the menu. “Valuing an ingredient and finding ways to accentuate its natural flavour is the philosophy I uphold in creating flavour combinations,” says Aeberli. Aeberli’s favourite selections from the cocktail menu include Cheeky Collins. This twist on the original Tom Collins combines the fruits of Asia with the labor of London; lychee is mixed with gin, citrus and shards of ginger to create this gentle drink. by accentuating the acidic notes with a generous serve of maraschino liqueur, topped with French almond syrup and delicate shaved coconut. For those craving some spice, The Peruvian Flake hits the mark. The house-infused jalapeno Pisco is perfectly paired with peppered gin to harmonize a crisp citrus and coriander finish. For every Melburnian’s favorite Friday night cocktail, Tenpin offers two Espresso Martini options. The Traditional with vodka and coffee liquor or the Spiced with a dash of spiced rum and cinnamon whisky. 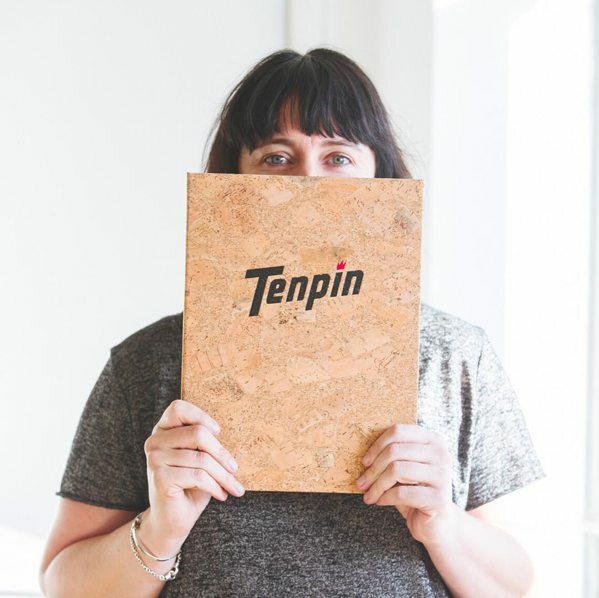 Tenpin’s wine curator Angelique Barbour sourced an impressive selection of international and local small-parcel wines for the drinks menu along with a selection of craft beer.